Don’t worry – we have several nearby theatres you can visit. And we’ll see you soon at new AMC Anaheim GardenWalk 6. Opening Summer ’19, we’ll be just down the street with epic upgrades like premium recliners! 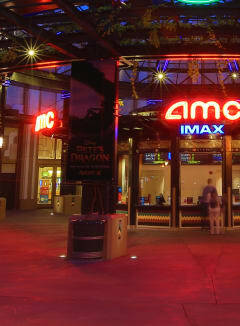 If you have AMC Downtown Disney 12 listed as your favorite theatre in your AMC Stubs account, log in and go to My AMC now to select a new favorite theatre. See you at the movies!